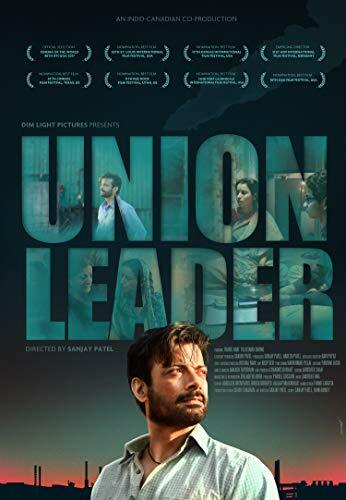 Description: UNION LEADER is a drama, 105 minutes in length, and it is the story of Jay, who gave up his dream of education to care for his family when he was young and is haunted by the loss of a future that was not to be. But, he is determined to end the cycle of poverty and provide a better life for his family. Jay must fight to keep his family alive with each passing minute. Living in poverty and faced with the looming possibility of death, Jay must struggle against corporate greed and the constant dangers of living on every last penny. Will Jay be able to fulfill his dream? Will Jay be able to bring the bad guys to justice? Will Jay survive, or will he fall to his death like the hundreds that do.UNION LEADER is a drama, 105 minutes in length, and it is the story of Jay, who gave up his dream of education to care for his family when he was young and is haunted by the loss of a future that was not to be. But, he is determined to end the cycle of poverty and provide a better life for his family. Jay must fight to keep his family alive with each passing minute. Living in poverty and faced with the looming possibility of death, Jay must struggle against corporate greed and the constant dangers of living on every last penny. Will Jay be able to fulfill his dream? Will Jay be able to bring the bad guys to justice? Will Jay survive, or will he fall to his death like the hundreds that do.